One country where QR Codes hold a premium spot right from marketing to social media apps is China. 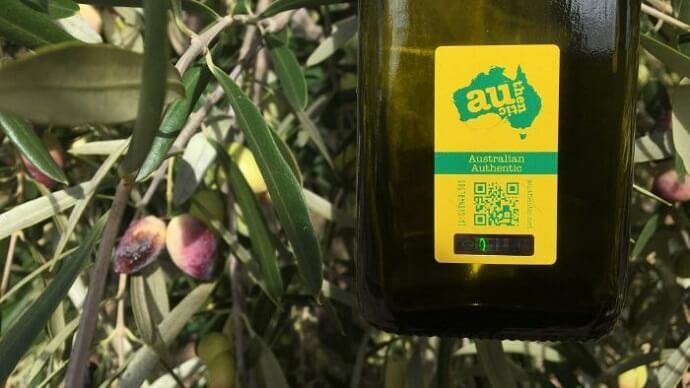 To cater to their Chinese audience, Horticulture Innovation Australia along with Australian Authentic, an international marketing tool are branding Australian olive oil bottles with a QR Code. Here we’re calling it a product QR Code. Scanning this QR Code will allow consumers to learn about the origin of the olive oil and confirm its authenticity. The QR Code links to a website where people can read more about Australian food standards, lab tests, and also view videos from the olive oil producers. The addition of QR Code labels is still in the research and testing phase. Currently only a small batch of olive oil producers are a part of this initiative. The QR Codes will also help curb counterfeiting of the Australian extra virgin olive oil. The company keeps track of the number of scans on each QR Code. A single QR Codes receiving multiple scans points towards counterfeiting. “We believe that any customer who pays money for a food product is entitled to know where, when, and by whom it was made.” – Chris Mercer, Chairman, Australian Authentic and Western Australian olive producer. Australian Authentic also plans to extend this initiative to other Australian products such as Western Australian Honey.